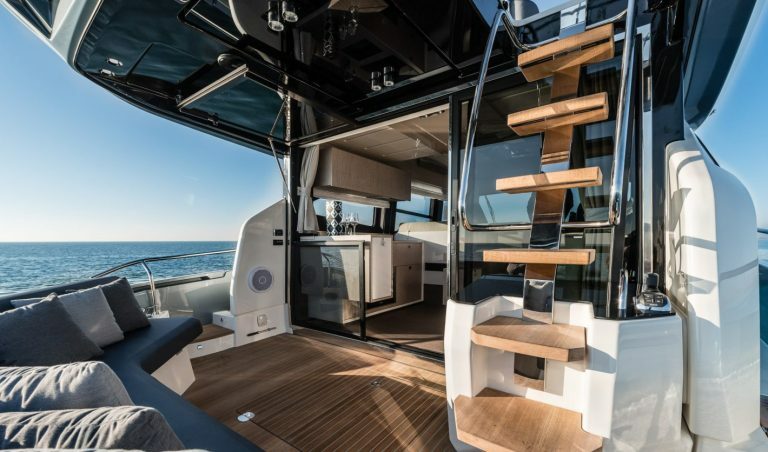 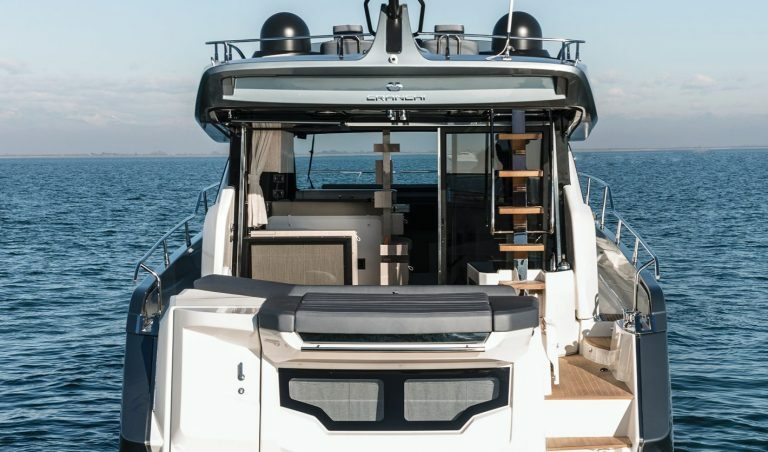 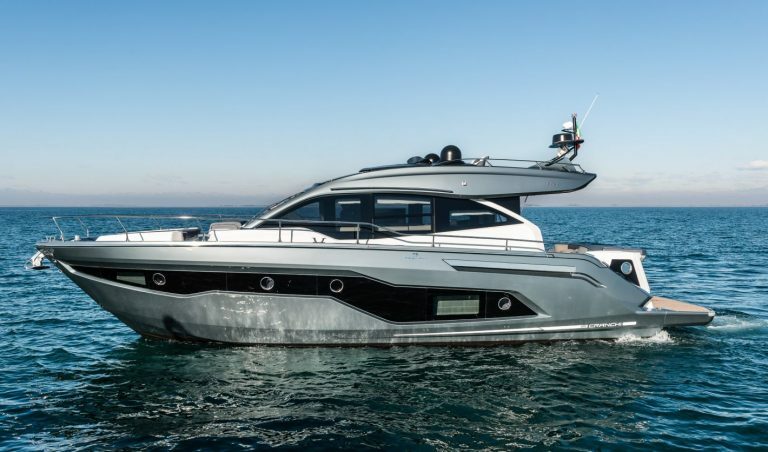 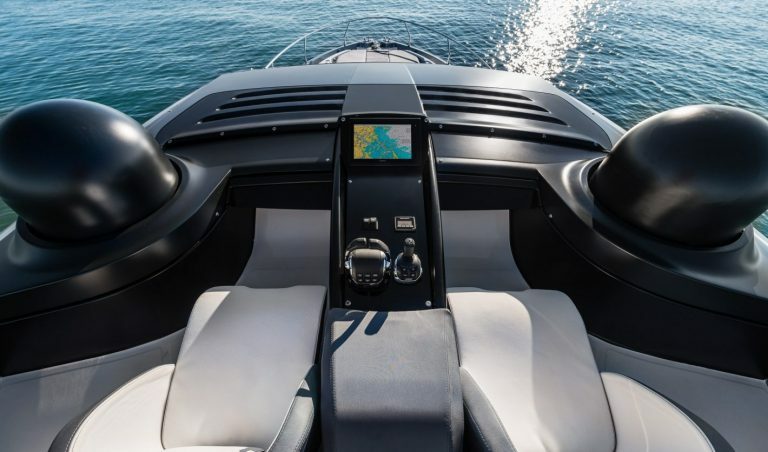 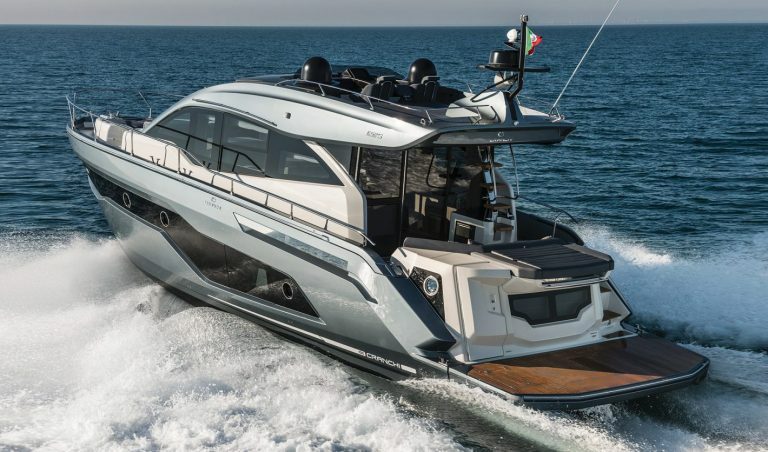 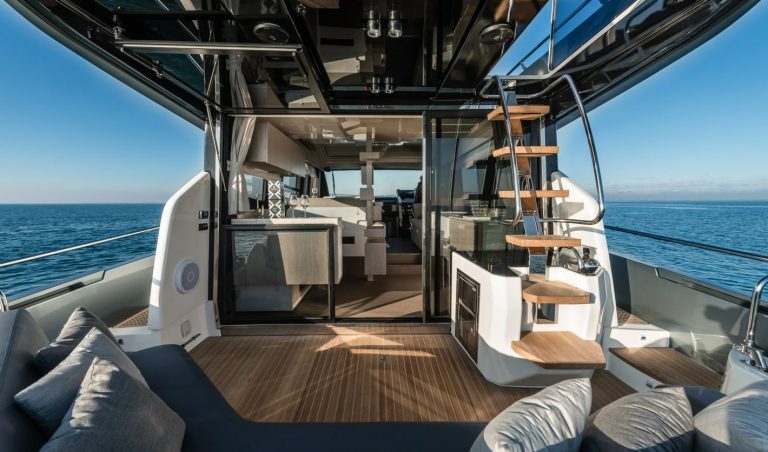 The E 52 S offers something quite unique, compared to your average Hardtop motor yacht. 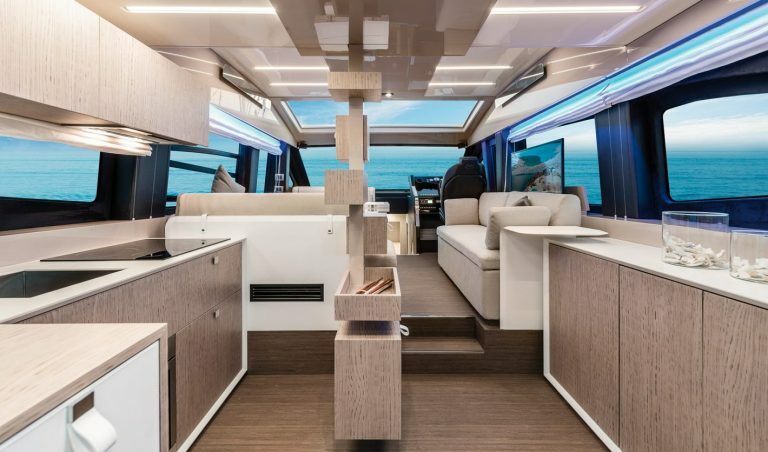 Note the ladder in the cockpit which indicates something special up top, an almost space age outdoor helm area with central console controls and race style semi-reclined seats to cosset you. 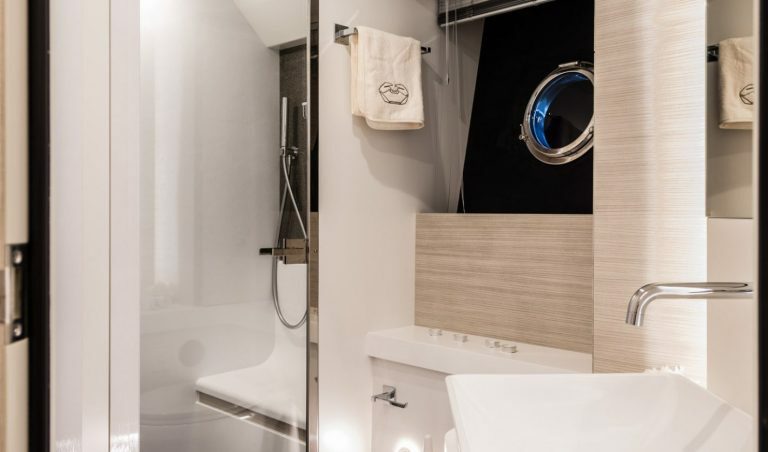 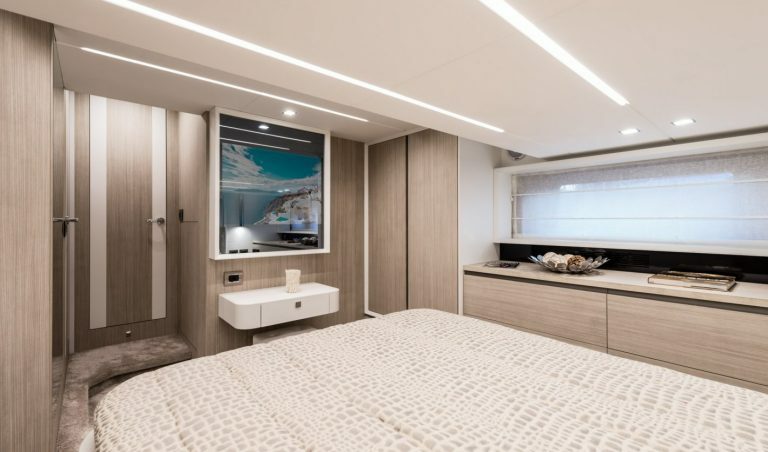 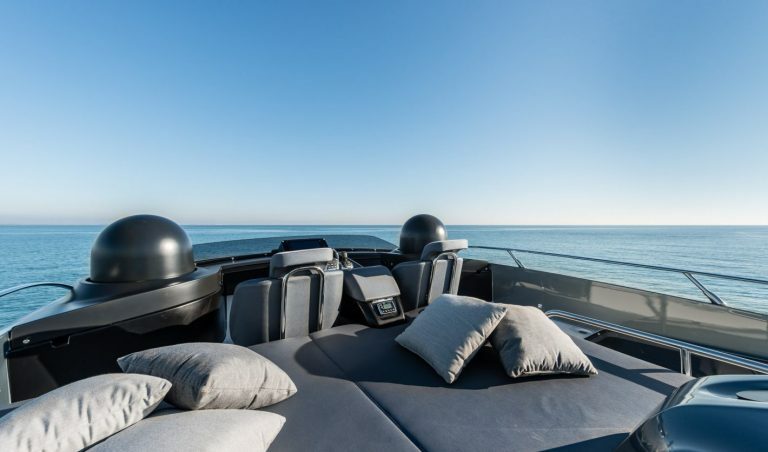 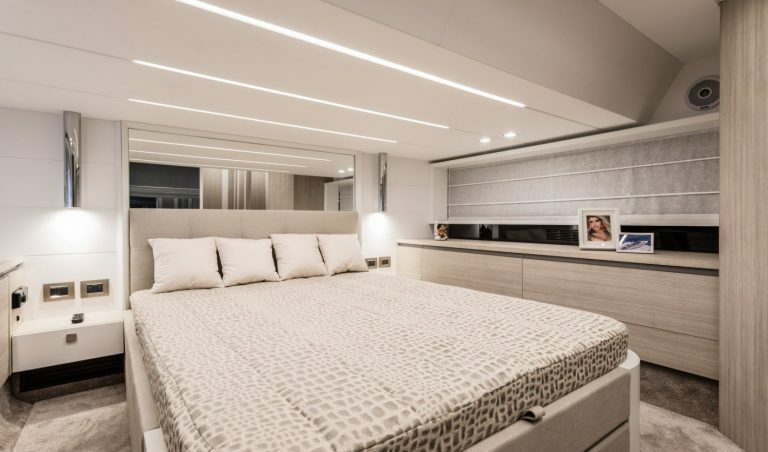 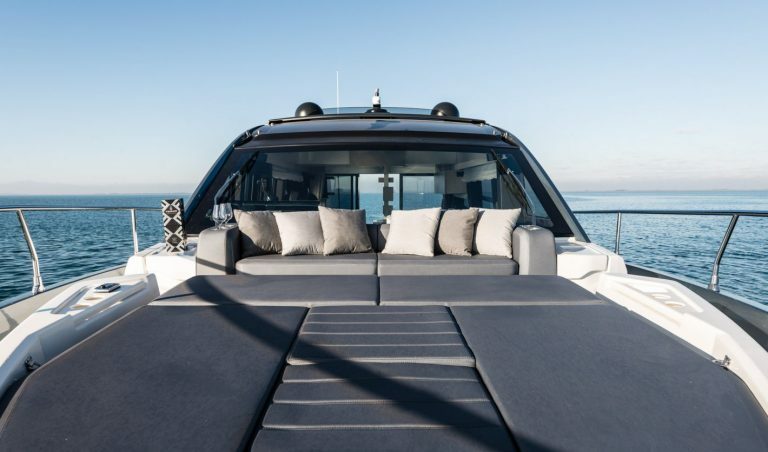 Aft there’s even room for a sunbed, one of the 52 S Evoluzione’s three cushioned areas dedicated to sun worshippers. 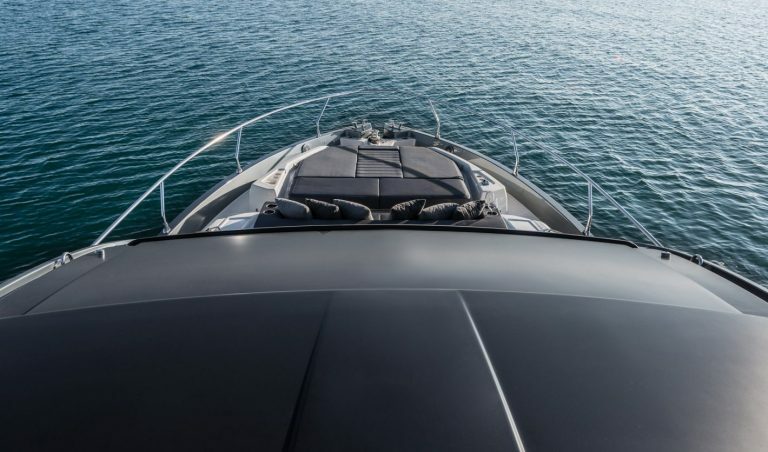 Power options run from twin Volvo Penta 550hp diesels on IPS drives to twin 600hp units from the same stable.